The deadline for Letters About Literature is quickly approaching (postmarked by December 6!). 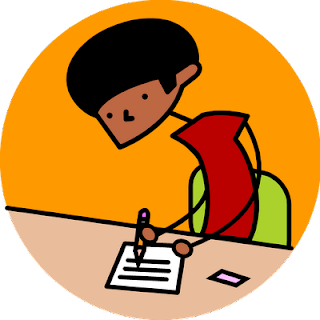 If you're not familiar with the program, Letters About Literature asks readers in grades 4th through 12th to write a personal letter to an author about how their book affected the reader. Sponsored by the Library of Congress in partnership with Target, this national reading and writing promotion program is a great way for kids to think about how literature (fiction/nonfiction, poetry, speeches) has affected them. Check out the official rules and entry form here or pick up a copy in the Children's Room. I love working with patrons to find a new book to read. Whether it's a student or grown up, there are seemingly endless possibilities. (Believe me, I have a reading list that I will probably never see the end of.) So, how do you narrow the field?! Have a look at Novelist, an online tool that the libraries of Washington County subscribe to. This huge resource has recommendations for grownups, teens, and kids. On the county libraries' webpage under Online Resources, click on View All or click here to go to the list. Scroll down and click on Novelist (you'll need to enter your library barcode number to go through). Features to look for...Author Read-alikes (When you've read every Stephen King novel and need an book that "reads like" those. Lots of authors are here.) and Grab and Go Book Lists Your third grader (or any grader) needs some reading inspiration. Under a title's information, you'll often find similar authors listed, lexile level, reviews, and a link to check our catalog for availability! As always, feel free to give your librarian a call or stop by one of our Reference Desks for more info. Students from St. Anthony's 2nd and 5th grade classes currently have art work on display at the library. Stop by the Puett Room and the Young Adult Room for a glimpse at beautiful interpretations of leaves. If this inspires you and yours to get crafty, then stop by the Mega Craft Workshop, Saturday, November 29 from 1-4 p.m. in the Community Room. All ages can be creative crafting jewelry, ornaments, cards, snowflakes and much more. Make a present for yourself or someone else. Don't forget that your library has plenty of books on crafts, from crocheting to origami, jewelry making to woodworking. The Young Adult DVD collection is here! Join us on Wednesday, November 19 from 4-5 in the Young Adult Room to celebrate its premier, check the catalog, or come by the YA Room anytime to check out our offerings. You can borrow up to 10 DVDs at a time. 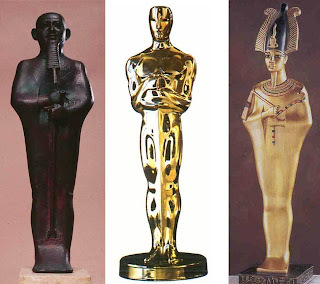 They check out for one week, and we have titles from Wallace and Gromit to Juno, selected just for you! Some popular artists including Lisa Loeb (Catch the Moon and Camp Lisa), Bare Naked Ladies (Snacktime), and They Might Be Giants (Here Come the 123s and Here Come the ABCs) are now making music for kids that adults also will enjoy. You might also want to check out Justin Roberts, Brady Rymer, Uncle Rock, and Dan Zanes. These guys may have gotten their starts doing kids' music, but their music is enjoyable for people of all ages. If you have a favorite CD you enjoy with your kids that the library doesn't own, let me know and I'll see if I can find it for our library. It never hurts to have a little extra advice and guidance as you prepare for another holiday feast. Even if you don't celebrate Thanksgiving, the recipes in these materials are still wonderful as they take advantage of easy-to-get and inexpensive harvest-time produce. All of the following can be found on the shelves of Tigard Public Library and can be requested from other Washington County cooperating libraries should you be unlucky enough to find that someone has gotten to the goods before you. This list isn't exhaustive by any means. 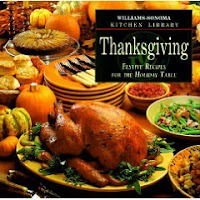 We have a bunch of other great cookbooks in the WCCLS system, just conduct a subject search for Thanksgiving Cookery in the WCCLS catalog to see our county's current collection of culinary compendia. Jacques Pepin, his daughter Claudine and his wife Gloria fix a Thanksgiving dinner which includes home cured salmon, salmon tartare with cucumber salad and salmon caviar, and salmon gravlax with cucumber, sweet onion and rye bread, turkey with apple cider glaze and bread and mushroom stuffing, brussels sprouts, gratin of butternut squash, a spicy cherry ginger chutney, and finishing with chocolate-bourbon-prune cake, and pears poached in citrus juice. 2. Betty Crocker Complete Thanksgiving cookbook: all you need to cook a foolproof dinner. Betty Crocker comes to the rescue with this complete do-it-yourself guide to making a delicious Thanksgiving dinner with all the trimmings-and none of the headaches. Perfect for beginners and Thanksgiving "first-timers" as well as more experienced cooks, it includes 130 of Betty Crocker's most popular and time-tested Thanksgiving recipes. The book covers a range of recipes, from traditional roasting to new and interesting cooking variations like brining, grilling, and even deep-frying turkeys, plus lots of great ideas for sides, desserts, and more. Twelve count-down menus cover every aspect of the meal-such as when to set the table and how to time the gravy so it's ready to serve at just the right time. The menus suit a whole range of lifestyles and situations, from dinner for two to dinner for twenty, from vegetarian and low-fat menus to a super-simple, low-stress menu for first-time cooks. Perfect for parents, kids, teachers, history buffs, and of course Thanksgiving cooks, Giving Thanks is a true keepsake cookbook, meant to be shared and enjoyed year after year. Thanksgiving specialists Kathleen Curtin and Sandra L. Oliver and the world-famous Plimoth Plantation trace the colorful history of the holiday, from the story of “The First Thanksgiving” to twenty-first-century customs. Then the real fun begins—a delicious assortment of more than eighty recipes, from appetizers to desserts, old-fashioned mincemeat pies to modern pumpkin cheesecake, generously seasoned with plenty of fascinating trivia. This activity book offers a cornucopia of ideas for parents and kids, featuring decorations, cards, costume, and gift instructions. The book includes recipes for gingerbread turkeys and pumpkin pie, games and a section on historical information as well as similar international harvest festivals. Sometimes the only thing Thanksgiving hosts have to be thankful for is putting their feet up at the end of the day. For novices, orchestrating The Feast is no easy task. And even for old pros it's a bit of a challenge. Enter The Thanksgiving Table: the lowdown on the how to. Everything from the foolproof secret to a moist bird and how to truss and carve it to menu suggestions and simple, elegant table settings. Plus, recipes for classics like cranberry relish as well as more innovative dishes--and a whole section devoted to vegetarians. And maybe best of all, do-ahead tips and plenty of food and technique photographs to make planning in advance a breeze. Wouldn't you know it? There isn't a description to be found anywhere. If you have any experience with this popular title from the Williams-Sonoma kitchen library, we'd love to hear about it in the comments. Whether your tastes run to the traditional or more adventurous, this Thanksgiving can be the tastiest one ever with the help of this Williams-Sonoma cookbook. From first course to last, cooks will find everything they need for a delicious holiday gathering. Celebrate Thanksgiving with TV hostess Sharon Anderson and her guests. You'll find dozens of fresh, new ways to add to your family's Thanksgiving tradition. Descriptions of these materials, with slight modifications for clarity, are provided from our public access catalog and/or the publisher unless otherwise noted. 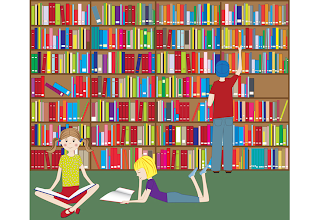 If you are promoting a literacy-friendly home, then you almost certainly have shared books with your children, whether reading aloud or borrowing books from your offspring, whose enthusiasm for reading material can be infectious. Maybe you've discovered your own passion for "their" books. I will never grow tired of reading Dr. Seuss, L.M. Montgomery, The Little Prince, and Harry Potter. Reading what your kids read is a great way to understand their interests, sense of humor, and tastes. Through shared books you can find common ground and fabulous fodder for dinner table discussion. Perhaps your teen has lent you his or her (most likely her) treasured copy of Twilight, by Stephenie Meyer. You liked it didn't you? It's OK, you can tell us. We liked it too. Anyway, you may of heard that the Twilight movie, filmed just a few miles away in St. Helens, is coming to a theater near you on November 21st. Here at the library, we've joined forces with Adult Services to create an opportunity for you to get a little gothic with your teen. On December 5 from 7-9 p.m. in the Community Room there will be a Vamp Camp for teens and adults. Watch a classic vampire movie, contribute to a gothic art gallery, enjoy crafts and snacks, and get horror make-up instruction from a professional make-up artist. See you there! We all know kids (and adults!) spend too much time in front of the screen. One way you can make watching TV or movies a more positive experience for the whole family is to make it interactive -- talk about what you see. If you are watching television, mute the commercials and take those two minutes to ask your children why they think a character behaved a certain way, or what they would do in that situation. Imagine different endings to a favorite movie or show. Connect what you are viewing with real life experiences. Take this normally "passive" pastime and let it become another opportunity for learning. You just might get you everyone talking! When it comes to books, there are never too many ways to hear about a great one to read. Whether the recommendation comes from your kid's friend, another parent or your librarian, hearing what someone else thought about a book is much more fun then reading the inside flap of the book. I'm currently following the children's book review page Curled Up With a Good Kid's Book. Reviews are fun, friendly and cover both fiction and non-fiction titles. Reviews are grouped by reading level: board books, picture books, beginning readers, young readers, young adult, and parenting. There are some commercial links on the bottom of the page, but these do not distract from the main content. If you really like it, check out their companion page for grown up readers Curled Up With a Good Book, which even covers audio book reviews. November is Native American Heritage Month. The library will be celebrating this with A Gathering of Flutes, Friday, November 14 from 6-8:30 p.m. in the Community Room. Hear soothing, soulful music of Native American flute musicians, each with their own unique and personal style. Bring the whole family to participate in this special night of music. Also, stop by the Children's Room for a display of books about Native American culture and folklore. One of my favorite children's authors and illustrators is Paul Goble, whose beautiful artwork and storytelling are fluid, imaginative, and rich in detail. See a description of his work at the Museum of Nebraska Art, which features a curriculum link about the geometry in Goble's artwork. If you'd like to more, come on down to the library! We're always happy to help. Sunday, November 9, at 1:30 p.m., families are invited to stop by the Puett Room for Family Game Day. I must admit, I'm a little competitive when it comes to board games (just ask any of the teens who challenge me at Boggle at Teen Game Fests!). Thinking of board games, however, I remembered that earlier this year I read The Gollywhopper Games by Jody Feldman (J FELDMAN). Twelve year old Gil Goodson has been having a rough time, ever since his father was accused of embezzling (and fired) from his job at Golly Toy and Game Company. Gil sees his and his families redemption in winning in a major gaming challenge. Gil and thousands of other hopeful kids compete in trivia, word, and logic games. (I dare you not to try to solve the puzzles before the kids!) A fast and fun story of friendship, competition and sportsmanship. Amateur and professional photographers are encouraged to submit original photographs for an art exhibit, "Images of Mortality," to be displayed at the Library Saturday, November 15 through Monday, December 15. 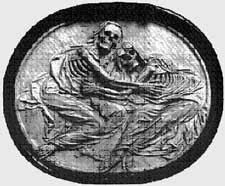 The exhibit will explore the imagery associated with vampire lore, classic cemetery art and mortality. The deadline to submit entries is November 10. Exhibit themes are: Stone Gardens, Moonlight and Ruins, Immortal Dawn, and Forever Now. Download the contest guidelines and entry form here. Join your friends and neighbors from 4:30-11 PM to watch the national election poll results in a unique, non-partisan observation of political history in the making. If you're looking for a back to pat or shoulder to cry on as we learn the results of the American democratic process -- or if you would just like to see the states changing color on the "larger than life" screen in the community room, this is your opportunity. We're also happy to provide some light snacks to help you maintain your vigor through the long march of political progress. Stop by the Community Room of the Tigard Public Library anytime that is convenient for you on November 4th from 4:30-11 PM to watch the polls close and results roll in. 503-684-6537 or visit the Library web page at www.tigard-or.gov/library.